The hack recently suffered by Sony Pictures was allegedly perpetrated by individuals based in North Korea. According to Re/code, sources close to the company's plans say it will make an announcement later today, though a Sony spokeswoman declined to comment, instead saying "the investigation continues." Among the wreckage, several unreleased movies were released in a huge 100 terabyte leak, along with scripts, budgets, SSNs and employee salaries. Sony has responded to the hack by telling its workforce to assume their personal information has been leaked onto the Internet. Compared to the hack that brought down the PlayStation Network for three weeks, the one endured by Sony Pictures is much worse. Not only will the company have to suffer through the indignity of yet another high-profile attack, but it will have to deal with scraping the Internet for important information, and deal with morale of its employees. Once this information is on the Internet, it's there for good, so it's all about damage control at this point. The hackers reportedly have much more information, which apparently was just sitting on servers unencrypted, to leak out. All this allegedly over a single movie. 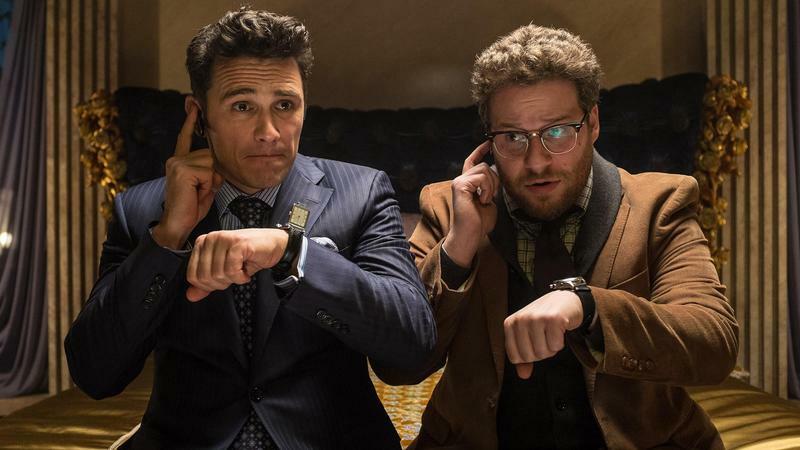 Sony Pictures is set to release a film called The Interview, which follows Seth Rogen and James Franco as they attempt to assassinate North Korean leader Kim Jung-Un. The situation, as you'd imagine, isn't pleasant, and will likely reverberate across the industry for years to come. While it likely won't have a major box office impact, it's certainly a big deal that so much personal information was released. Unsurprisingly, once news broke, employees started "freaking out" as data started hitting the Internet. The Interview is scheduled to hit theaters on Christmas Day.